Our goal is to create a working boat shop supported by dedicated and enthusiastic volunteers. We provide opportunities for people of all skill levels to work on a broad scope of projects. The Boat Shop teaches volunteers how to use woodworking tools, work as a team to build small watercrafts, and create smaller artistic wood works. 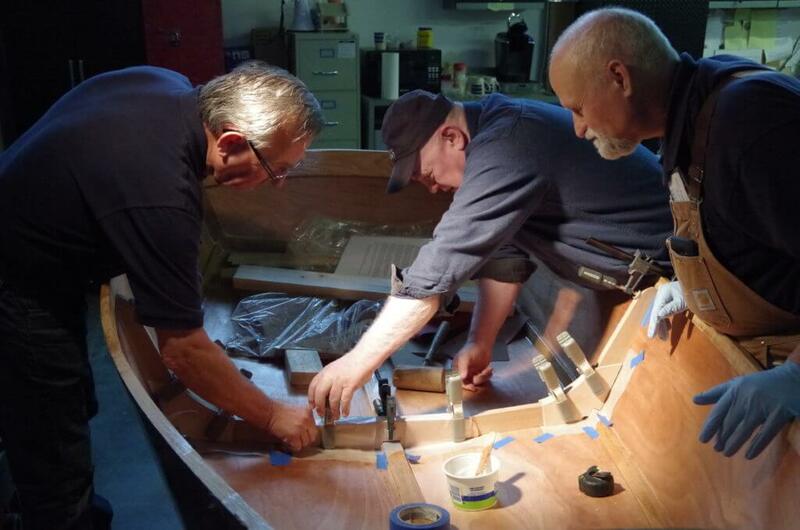 We encourage participation from the community in our boat building programs and maritime heritage education. Maritime knowledge and skills are vital to the growth of our waterfront and future generations. Guests are invited to observe techniques of the multiple projects being currently performed. Guests and volunteers are always welcome to visit us, ask questions, and join our team! Help us look toward the future. If you are interested in volunteer opportunities CLICK HERE. The Boat Shop is in the process of building a Pygmy Kayak, using plans over the standard kit. This will be the first Pygmy Kayak and the first kayak the Boat Shop has ever built. When the Boat Shop began building this canoe in the summer of 2018, it was intended to be a 6-hour build. As happens, the Boat Shop modified the design of the canoe and transformed it from a 6-hour build, to a several-month build. Every project is unique. The Boat Shop arranges various classes, teaching those interested in the art of not only boatbuilding, but of wood working, building, and so much more. The Boat Shop is working on adding more classes to the calendar for 2019. For more information about upcoming classes, please check the Seaport Calendar.